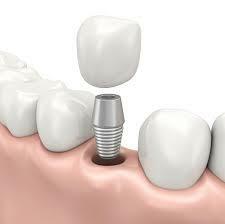 Dental implants are considered to be the most effective treatment for badly damaged tooth or missing tooth. The dental implant cost in Melbourne is now more affordable with high quality dental treatment and so many people come forward to overcome all kinds of dental problems they experience. This is proven that dental implant gives a great aesthetic result can also last longer for decades. However, there is always a certain amount of risks involved with any kind of surgery, no matter what the problem is. Dental surgeries such as dental implants are not exceptional, while it is not common in all cases, sometimes implant may fail to take or the jawbone may completely reject it. To avoid the surgery failure, you have to understand the most common causes and different types of dental implant failure. Infection– The use of inappropriate technique or poorly fitted fixtures can cause persistent infection which will result in the removal of screw. Substandard or imperfect fixtures are very common especially when the dentist uses cheaper type of implant or he/she does not have enough experience. Nerve impairment– This is caused by not using the proper techniques. It causes numbness, pain or persistent tingling sensation. Loose Implants– If the implants are placed on not so solid bone structure, loose implants can cause. This can also cause by substandard fixtures. There are many reasons for the dental implants failure. One of the most common causes is when both the patient and dentist try to settle for cheaper treatment by using poor quality implants. So, make sure to use high quality implants in which dental implants cost in Melbourne are inexpensive. Shortcutting the Diagnostic Phase – Dental implant requires the use of three-dimensional panographic x-ray and some dentist go for two-dimensional x-ray to shortcut the diagnostic phase. Insufficient Information on Your Medical History – There are many medical conditions which can affect the success of dental implant treatment. This term should be considered by your dentist before the dental implant treatment. A thorough interview and diagnosis should be done before the dental surgery to avoid any complications later. Incorrect Placement of Dental Implant – This problem has a very strong connection with having an inadequate analysis of your oral health. It could also be caused due to the lack of communication between the restorative dentist and the surgeon who will do replacing the dental implant. Hence, during the diagnostic stage, ensure your dentist to make an assessment on where to place the implant and what type of implant to use for you. To avoid these causes of dental implant failure, you should practice proper oral hygiene during and after the dental implant healing process.